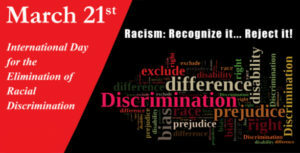 On the occasion of the International Day for the Elimination of all Forms of Racial Discrimination on March 21st, KISA – Action for Equality, Support, Anti-racism as well as the Refugee Rights Association (RRA) express their deep concern in regards to the upsurge of nationalism and racism as well as in regards to various offenses which are committed on this basis, both in Cyprus and worldwide. 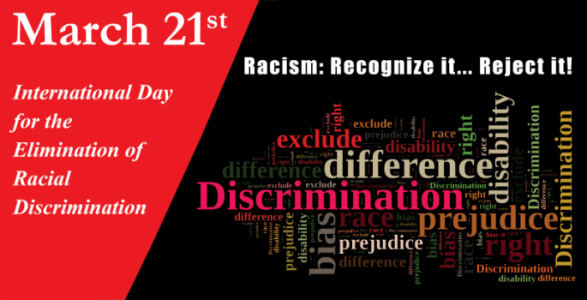 At the same time, the two organizations emphasize the need for the rapid adoption of a zero-tolerance policy against any form of discrimination, xenophobia, intolerance and racism. The referendum in Britain to exit the EU[i], D. Trump’s[ii] election in the USA, the policies and measures taken from the Hungarian Government[iii] and other governments of EU member states against migrants and refugees as well as the EU’s reactionary withdrawals from any matters relating to human rights in order to shirk from its responsibilities and satisfy an extremely racist and far-right audience, have led to a strong wave of racism and racist violence against refugees and migrants but also against those who persist in safeguarding human rights and the rule of law. The two organizations also point to the development in Turkey: rise of anti-refugee sentiments in the society as well as oppressive policies of the Turkish state against Kurdish people whereas an undeclared war is going on, leaving millions internally displaced in Kurdish cities and towns, closing down NGOs including those that work for human rights as well as the rights of the displaced, criminalizing politicians and taking over local authorities. Experience has proven that any tolerance towards the forces that espouse and promote racism and intolerance does not undermine their fury, but also provides them with the political cover to further intensify their attacks against refugees, migrants, and ethnic minorities. The shameful EU-Turkey agreement concerning migrants a year ago, does not only constitute a strong example concerning the democratic forces’ concessions towards the far-right and neo-fascist circles throughout Europe, but it has also contributed to strengthen and embolden these groups and it has further contributed to the upsurge of racist violence and hate crimes. The responsibility of the European governments, particularly of countries that have the power to shape EU policies, is even greater since they have been refusing for many years to deal with issues such as migration and asylum by adopting, for example, a common asylum system, based on the principles on which the EU is founded. Such a treatment would contribute both to better prepare European societies in respect to subsequent developments as well as to tackle with issues such as populism, the extreme right, nationalism and neo-Nazism – fascism. In Cyprus, both in the north as well as in the south, we are witnessing the rise of nationalism – chauvinism, racism, xenophobia and hate crimes. Repeated attacks against Turkish-Cypriots by Greek-Cypriot nationalists[iv] cannot be considered in any way as individual acts since they are directly related to the outbreak of Greek-Cypriot nationalism and the intense mobilization of right-wing / neo-Nazi forces during the recent period. A similar atmosphere prevails in the Turkish-Cypriot community, demonstrating that nationalists throughout the island share common reflexes whenever there is a prospect of a solution to the Cyprus problem, regardless of national origin. Immediate and effective reaction against events involving racist violence and hate crimes, and exemplary punishment against the perpetrators. Taking all necessary measures to ensure the integration of immigrants / refugees in society and their equal access to human rights, regardless of their origin or any other difference. 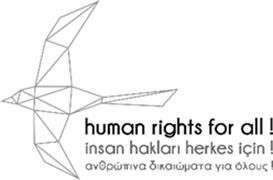 The press release and the upcoming event are within the framework of the three-year project “Human Rights for All!” [vi] which is implemented by RRA and KISA. The overall aim of the project is to combat racism and to ensure that human rights of refugees are respected. Main project activities include trainings on asylum, standards of detention, protection from ill-treatment & torture; thematic reports on human rights of refugees; workshops for refugees on their rights; awareness-raising campaigns on the International Day for the Elimination of Racial Discrimination; panel discussion on migration and asylum policy in a unified Cyprus; summer volunteer programs and advocate for legal change in northern Cyprus. This project is funded by the European Union under the Cypriot Civil Society in Action programme and implemented by RRA in partnership with KISA.